Not a perfect picture, but there’s something I really like about the colors! Love it. So, so beautiful! But then, I have always loved butterflys. The greens and browns make a nice mixture I agree. What a vibrant green on the wings! Wow! 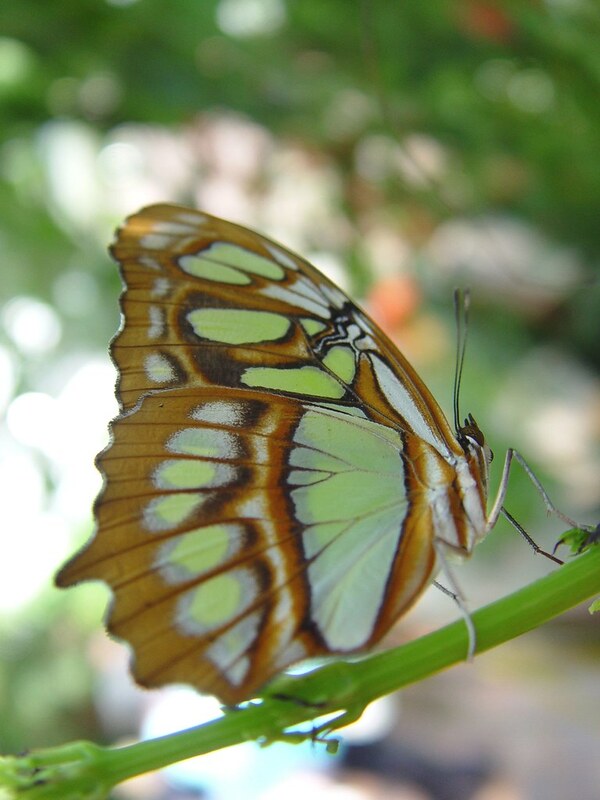 I didn’t imagine butterflies came in green… indeed nice color. This is better than perfect! Something so warm and calm about it. Nice work! What more perfect could you catch? The color is just wonderful. This is very nice. Great photography! Whoa that’s a crazy looking butterfly! Michelle: Greens & browns make me think of algae LOL! Lisa: It was such a different looking butterfly! yo tambien te mando besos: Me, either! My favorite color is green so it was really eyecatching to me. fleur de lisa: Thank you so much for saying that! What a lovely compliment. goofygirl: The really crazy looking one was the one with the body the size of a cigar! It creeped me out, truthfully. I think this a STUNNING shot. It’s so lovely and captures the fragility of the wings. I *love* it!! e: Thank you! Once I get a better lens, it’ll be even better! wow!!! i think it’s perfect! stunning…i love it!